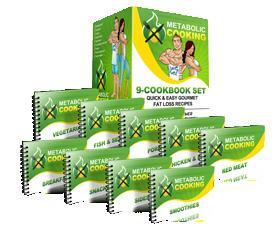 All About The Metabolic Cooking Program! The desire to lose weight doesn’t mean you need to eat unhealthy foods. You can eat foods that are good for your body, taste good, and help you lose weight all at the same time. That’s the premise behind the Metabolic Cooking fat loss nutrition program by Dave Ruel and Karine Losier. They believe that healthy food does not have to be plain and boring. While eating healthy foods, this program is aimed at helping both men and women lose fat. The right foods will help increase your metabolism, improve your physique, and provide proper nutrition with tasty and healthy meals. It helps to know who has created a nutrition program, so you can get an idea if they really know what they are talking about and are equipped to help you in your search for healthy foods that will enable you to lose weight. Dave Ruel is a successful fitness cook, bodybuilder, fitness enthusiast, and popular author of several health and fitness books including Anabolic Cooking. Dave is always looking for new recipes and nutrition tips to help others lose fat and stay healthy. Dave is always willing to answer your fitness questions and will definitely get you motivated to get in the best shape of your life. Karine Losier known as the ‘Lean Kitchen Queen’ has a strong passion for food, fitness, and culinary adventures. She also has a Masters Psychology Degree, which helps her understand the psychological issues that people have with their weight and image and the importance of nutrition and a healthy diet. They work together to provide a nutrition plan that allows you to make healthy, delectable meals while losing fat. You can skip the process foods and still lose weight! Just What is Metabolic Cooking? The idea behind Metabolic Cooking is to eat nutritious foods that will use those chemical processes in your body to boost your energy and help you lose fat at the same time. The recipes use the metabolic powers of certain foods to help your body burn more fat. The amount of calories your body will use to break down the nutrients in foods is used to help power the fat burning process. This is a complete nutrition program and has several components. It starts off with a complete nutrition guide of over 50 pages which introduces you to the philosophy of the Metabolic Nutri-Profile and how this will promote fat loss. You will also learn about the different foods and how to create a well-balanced meal plan which promotes fat loss. The Nutri-Profile is designated by F (Fats), P (Protein), C (Carbs), and V (Vegetables). As you can see from the screenshot below of a part of the Metabolic Cooking book, your meals are already planned for you. Just pick the meals that correspond to the profiles and that’s it. 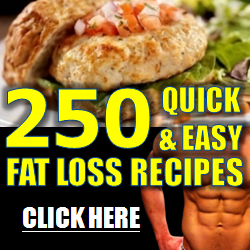 In total there are around 250 fat burning recipes each complete with a nutrition profile and directions on how to make. It is easy to pick the meals you need to eat during the day. Just match the meals the meal plan that is discussed in the nutrition guide. You can see a sample recipe for Metabolic Cooking Apple Oatmeal Pancakes by clicking here. * Metabolic Salad Builder & Metabolicious Dressings: How to create great fat burning salads, along with recipes for calorie-free dressings that will pump up your metabolism. *The Thermo-Charged Seasoning Guide: Spice up your food with healthy Sodium Free Thermo-Charged Seasonings. *The Fat Loss Optimizer Guide: contains information on how to burn fat faster and master the art of fat loss cooking and nutrition. *The Supplements Optimizer Guide: Accelerate your results with the right supplements. As you can see, it’s a pretty extensive package! The recipes are made from real food, not processed junk. They are easy to follow, and it’s easy to make meal plans so you don’t have to spend a lot of time agonizing over what you should be eating. It’s good food for both men and women, and while it is fat loss oriented, you can eat this food any time. For people looking for the whole package, nutrition AND an exercise program, this isn’t it. There is no physical exercise program included. However, it would still be a great nutrition program to follow with any exercise regimen you wish to utilize. And it is worth noting that while it is good to exercise, it’s what you eat that’s really going to make a difference in your fat loss efforts. Check out Metabolic Cooking for Yourself Today! Even if you’re not looking for a weight loss program, Metabolic Cooking can be useful in teaching you more about good nutrition, and provides a lot of recipes. 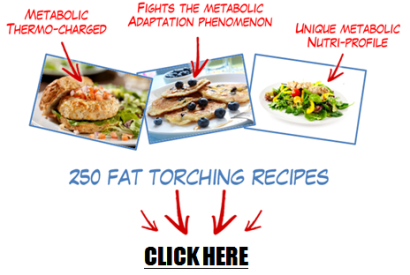 You can learn more about Metabolic Cooking by clicking here. Choose a nutrition plan using healthy foods, even if your goal is fat loss. Metabolic Cooking uses natural foods. Read our review to see if it's right for you!